This is your lucky Friday! It is a two-for-one special! 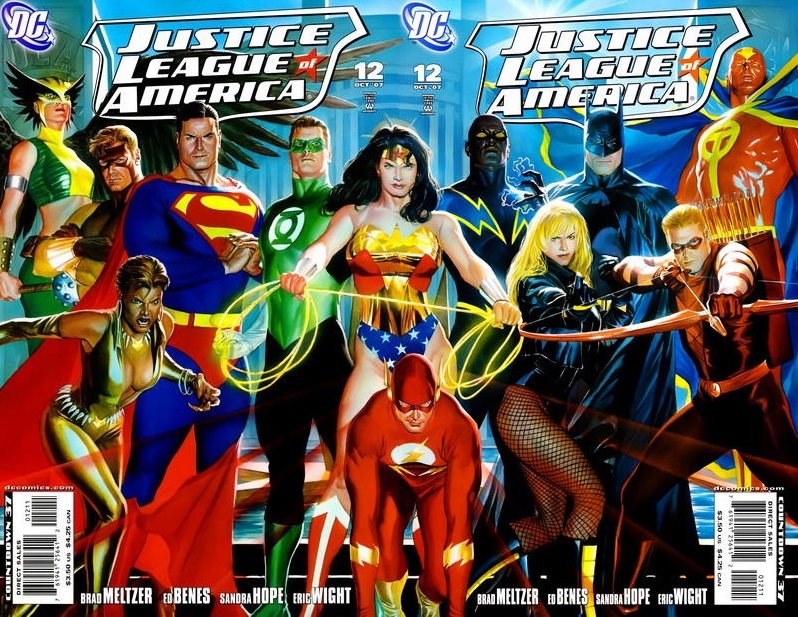 On today’s episode, I give you Justice League of America (2nd series – 2006) #12, the A & B covers! Both are done by Alex Ross, and combine to form the entire Justice League team! Amazing combo cover! If I have one criticism of the covers, it is that I do wish that Wonder Woman and the Flash were not cut in half. But oh well, it’s still beautiful! Here is the good part for everyone out there. The complete print run for this comic was 100k, so there is 50k of each cover out there. I am sure LCS’s everywhere have these in their dollar bins! And on-line, there are none more expensive than $5. If not for a spec reason, just grab these because of their shear beauty! One of my favorite Ross covers, problem is I’ve never found a set that matches due to them being miscut.